NEW CHURCH IN HOLIDAY CITY…Pastor Craig Bard is happy to be in Holiday City, a middle area for all to come. They welcome everyone who is not already attending elsewhere, and especially those who have felt hurt by “the church”. Of course all are welcome! 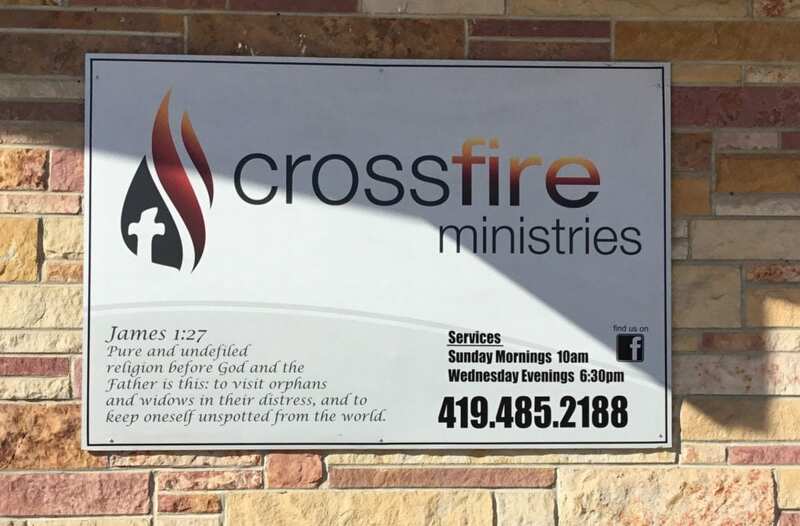 In October 2018, Crossfire Ministries, LLC opened the doors of Crossfire Community Church in the building in front of EconoLodge on State Route 15, in Holiday City, Ohio. Pastor Craig Bard, his wife Jamie and their teenagers Taylor and Chloe moved to Montpelier about a year and a half ago, open “to whatever ministry God had in mind.” Bard had an interest in church planting but didn’t know that was what was going to happen. Bard has a Master’s Degree in Theology in Biblical Studies from Liberty University located in Lynchburg, Virginia, and is working on a Master of Divinity in Evangelism and Church Planting. His ordination is through Elim Fellowship based in Lima, NY. 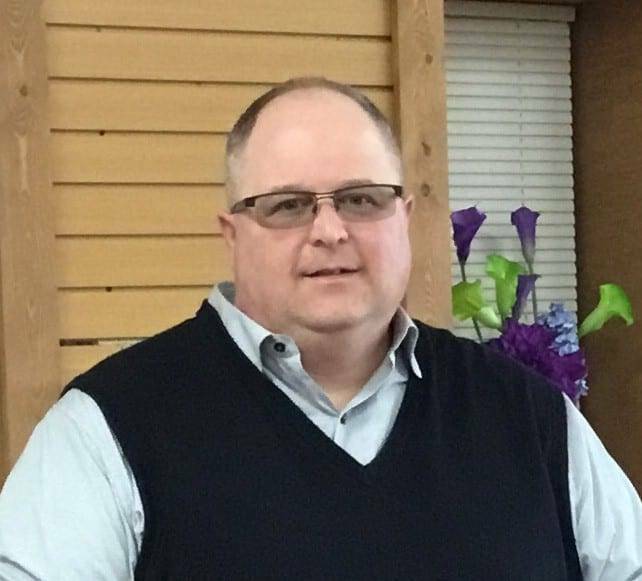 He and his wife began Crossfire Ministries as a 501C3 back in 2013, while living in Auburn, Indiana, as he became aware of a need amongst underprivileged people for free counseling. “We set it up as a 501C3 with the understanding that it would easier to plant a church if we were already incorporated,” Bard explained. “We are very family oriented, by God’s doing,” Bard continued. “We didn’t plan to have meals after church every Sunday, but it has happened. Everyone seemed to hang around after church so long that we realized they wanted more fellowship. True believers should want to be in church. You need to be connected.” They are focused on helping people who have been hurt and “just need to hear the Word preached and to be loved. We are after lost hearts.” They want to answer questions, preach truth and clarity up misconceptions for people. He says his biggest prayer is that God won’t let him teach anything that is not truth. He wants to clear things up for people by showing them what the Bible says and showing them other scriptures to back that up. He made it clear that they are not there to compete with other churches, but to be a part of all those in the area as each one has a purpose in working with God to bring others to Christ. On the First Saturday of the month at 10 a.m. they have an intercessory prayer time. “We just put music on so everyone can pray and join at the end to share whatever the Lord has shown you.” Everyone is invited to come! Family will distribute them. He explained that as this is the first year, they just grabbed the idea and ran with it, but he hopes that over the years it will grow, possibly adding meals next year. This year the baskets have toys, socks, kites, candy and practical items. Family Dollar in Montpelier has let them fill the baskets and leave them at the counter for people to pay for the items as they check out. They also have cans for collecting money at Kommon Kravings and Millers New Market. Other individuals and businesses have made donations as well. For those who would like to participate, Donations of money, crafts/coloring items, small toys, non-perishable items and baskets may be dropped off at the church with an appointment, located at 13499 St. Rt. 15, Holiday City. For more information call 419-485-2188. As they set up ministry in this area through which many people travel, eat, gas up and stay or work, their desire is to be a place where hurting people can find understanding and hope. Be the first to comment on "Holiday City’s Crossfire Ministries Hosts Baskets Of Hope For Children"